A family of unicorns laze around in the forest with the bright flowers and cool waterfall around them. Anyone can be an artist with Plaid paint by number kits! by bringing a fresh,contemporary look to a classic art form, each kits features beautifully detailed images and an expansive paint palette, eliminating the need for colour mixing or blending. Each kit contains all you will need to create your painting, acrylic paint, pre-printed textured board, paint brush, instructions and chart. 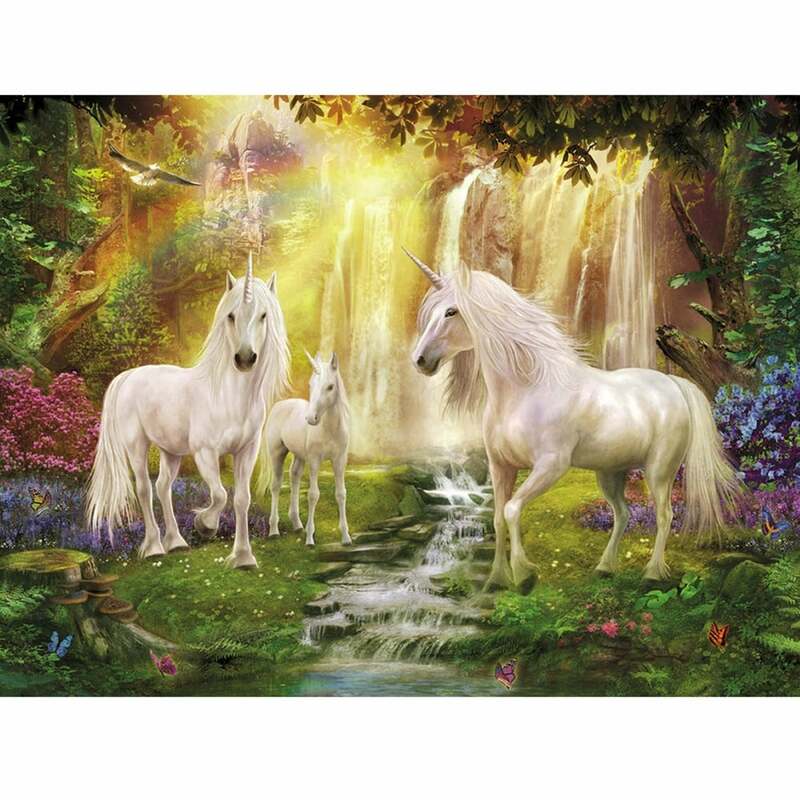 Showing 3 Plaid Waterfall Glade Unicorns Paint by Numbers reviews. Average rating of Excellent. Would you like to write a review? Brilliant choice, well worth the money. Beautiful picture to create, easy ordering and payment. Fast delivery on all orders, would recommend. A superb piece that seems to evoke the myth and magic of the legendary Unicorn.